We — as humanity — have been led far from our true identity, which is Love, a love so divine that the mind in which we abide cannot go there, cannot know That. Thus it doesn’t seem real to us just yet — to the self we take ourselves to be. Nor will it until we wake up & let go, do a great deal of letting go of the false identity, just for starters. Only then will the other falsehoods begin to fall away, begin to be seen for the foolishness they are, parading about as our reality. Oh, how we’ll laugh at that one day, one day soon for most of us, dependent on our readiness. This free-will thing is a real hoot, one we’ve vastly underestimated. Things we take to be the activities of free will are the activities of entrapment, entrapment in the false persona we took to be real. We’re being hugely misled & until we awaken to Who we are, until we drop the ego-mind personality we take ourselves to be, we remain lost. By identifying with the body-mind, we severely limit ourselves. The body-mind doesn’t consider that since it’s not able to see it. As the body-mind, we’ve grown arrogant, taking what we know to be true to be the reality, itself, not knowing on that level of our being how much greater the reality is. We are Divine Love walking the earth, walking the Cosmos. For a while, as 3D-earth humanity, we let ourselves be so very small. We played at being limited, at first never considering that we could actually forget our greater Being, our true identity. That idea seemed strange to us ever so long ago. When you’re Divine Love, you may tend to ignore or underestimate the dark side, those choosing a dark path, losing themselves in evil imaginings that become evil creations. This enables them to operate as if in secret, their corruption unsuspected. Some have walked that dark path for eons, for a time without number such that they’ve completely lost touch with themselves, their true Being as Divine Love. No longer enjoying the direct connection to the Purity of Source energies, they slowly morphed into energy vampires, the only way to continue their chosen darkness. Over great swaths of time, they master the ways of darkness, of leading the Light Beings into becoming their food/energy sources. They had to get us to self-limit such that we could no longer perceive or recall Who we truly are. Presenting their darker ways as normal, as “reality,” they took us, step by tiny step, into self-identifying as 3D form, into a realm of relativity, of deep limitation; a misuse of 3D, itself, which is neutral, not dark. From the 3D-form perspective, what they presented we took to be normal. Not being fully aware of the workings of our free will, we allowed ourselves to be tricked & trapped, still too pure, too trusting to be aware of the darkness at work, of the absence of Love in their actions. We projected our purity onto them, just as they projected their darkness onto us, neither one fully seeing either self or the other. It was an interesting dance we engaged in over great stretches of time, getting further lost in the parts we were playing. There were times when we took everything to be lost, so depressed & adrift from any sense of comfort did we find ourselves. We almost hated ourselves for getting into such dark conditions. We participated in things that made us sick at heart, not seeing any clear way out. Sometimes we gave up & gave in, fully participating in the dark dance steps, enjoying it on the surface but suffering deeply within, lost & seemingly alone. Oh my, what a journey it’s been! Some want to believe they were never lost, & in a way that’s true for us all, but not really. We chose, on some level of our being, to explore, to take the trek that turned out to be dark, while on the conscious level we lost touch with our purpose, with the higher-dimensional Self making those choices. In effect, we lost (touch with) ourselves, ourSelf, our Greater Self. For a long time, it seemed as if That didn’t even exist, so lost & bereft did we feel. Our souls cried out in pain that morphed into nasty actions over numerous lifetimes. We forgot that our outer experience, that all we encountered, was a reflection of what was going on within us. We became truly small, accepting our limitations as normal, as what everyone experienced. We were so lost & we blamed it all on other people, other beings, on outer circumstances & situations, losing even the concept of taking responsibility for our own lives. At that point, to hear that we’re Love incarnate made us laugh & turn away from the fool preaching such drivel. The contrast between what they said & what we were experiencing was too great to even consider what seemed a ridiculous fantasy, a total fiction. We forgot long ago that everything, simply everything in Creation is perspective dependent. We forgot wanting to expand our range of perceptions by trying on vastly divergent perspectives, seeking a better innerstanding of them by walking a mile in those moccasins. The behaviors, the actions of some creatures — perhaps some reptilians, for example — were so drastically different from anything that made sense to us we just couldn’t understand them, couldn’t work well with them. Try as we might, through numerous ages & lifetimes, we couldn’t make lasting successful agreements or relationships. We kept getting crushed. At a certain point, some of us chose to incarnate among them for a deeper perspective, for that greater understanding we sought. There is no race of beings that is universally lost or dark, including the reptile races (with whom humanity shares some DNA). We lost touch with this somewhere along the way. We made light & goodness our goal, condemning darkness as evil, as not worthy of existing, as deserving of eradication; forgetting we contained both. We are the yin/yang, the dark/light, the in/out, the up/down…We contain it all, & the Kingdom is ever within — all of it. In the Oneness, there is no two, thus nothing & no one to condemn. No longer remembering that, we learned to run from darkness, to meet it only in battle, seeking dominance. We identified ourselves as right, all who disagreed with us as wrong. We saw through either/or eyes, forcing us to make choices. We stuck by our choices. We were divided against ourselves without even knowing it. Our outer experience is a reflection of our inner state because consciousness creates! Once we’re ready to own at least our inner reality, things can change — but not until we ditch the blame game for good. Our perspectives were so shrunken, so limited that we were barely even the pale reflection of Who we are at our core. We lost touch with That, now totally identified with the limited body-mind apparatus, unable to see with eyes of Source/God from the deeper perspectives available within. That time is now ending. A time a celebration dawns that will come as such a massive relief to many of us that we may have to anchor ourselves to the earth to keep from lifting off into the ethers on recalling our True Nature, our Self as Divine Love. This seems odd to many, but we’re beginning to reconnect, strongly at times. Then we slip back into the human drama for a bit before reconnecting again, even just for a moment; a moment that forever changes our perspective. Our challenges are not with others & we won’t resolve our external difficulties until we resolve them within. The time for any sort of blaming is over. In this age we’ll once again find ourSelves, once again take responsibility for the life we’re living, for all that manifests there. We are Creator-in-form. We get to believe what we want to believe, & it’s no one’s business to tell us what’s what, to make us see things their way. We get to discover all of that for ourselves — which is nice, albeit challenging. As we begin to cut ourselves a great deal more slack, we’ll find ourselves also doing that for one another. We’ll watch ourselves being more tolerant, more compassionate all around. As within, so without; as above, so below, we’ll see the blessings spread. Until we come to both Love & respect ourselves, we won’t have it to give to one another. We’ll laugh & cry at times as we realize just how backward & upside-down we’ve let things get, how nothing is what we took it to be. It’s quite funny, but not until we relax & let old beliefs go. As long as we retain them, we’ll be in pain of one sort or another. We are NOT who we think we are, oh my. We’re all divine, friends, all beings of soul or Spirit. We have many sorts of beings currently present in & on planet earth, not just humanity, so that’s one more thing to wake up to. When we see inhuman behavior such as the murder or sickening mistreatment of tiny children, we’re dealing with beings other than human, no matter what appearance they (or their minions) present. 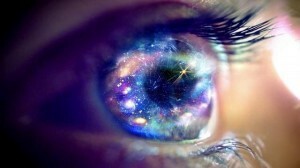 It’s time to see with eyes of Heart, to read the energies all around us. We can all do this, we’ve just been programmed not to. The time of the programming is done, is OVER, but not until we choose that to be so for us, personally. Free will still reigns & in ways unsuspected by the body-mind/ego. The much we have to learn is just to recall, for at Heart we are Source-in-form, Knowing it all. It’s as grand an adventure as we’re willing to wake up & allow it to be, but we get to self-limit to whatever extent we like. It’s all on us, friends — all of it. No one can make our choices for us but us. The sooner we recognize & accept that, the better. Believe it or not, it doesn’t matter, the way out is through recognizing that we know nothing; that everything we think we know is stuff & nonsense, the 3D dreams of the body-mind, true only in a relative sense. Our Greater Reality awaits us in the emptiness, the letting go as guided by Heart. As we let things clear up inside, so they’ll clear up outside, as well. We have many delightful, amazing discoveries to make. Nothing is as bad as it seems, as we’ve been led to believe. We’re FAR more powerful than we’ve been taught & every thought counts more than we know. As we begin to accept that, we allow things to change. I say this as one who was sexually abused as a babe, as a toddler, & a young child.